According to a recent study by Digital Finance Analytics, 4 in 10 home loans are declined. At Bee Finance Savvy, we found this statistic quite shocking. These statistics surprised us for two reasons. It’s shocking that nearly half of Aussie home loan applicants are going though this stressful situation. This is devastating for people trying to buy a home. It also makes it tougher for people who want to refinance. Secondly, these industry stats are in stark contrast to ours at Bee Finance Savvy. Our approval rate isn’t 60%, 70%, or even 80%. In fact, 98% of our home loan applicants get an approval! As you can see this a huge difference to the industry average. Some reasons for being decline are avoidable. But these people still get an unnecessary mark on their credit file. This can make it even harder to successfully apply later. When people go directly to a lender, they usually don’t know if that lender best suits their circumstances. At Bee Finance Savvy, our clients are more likely to be approved for two reasons. First, is our attention to detail. We closely look at our clients circumstances. We also closely examine their financial information. This allows us to identify any problems before they result in a decline. We’re able to address these issues ahead of time. We may also be able to identify a lender who’ll be more accomodating. Our second advantage, is that we stay up to date on lender policies. Sometimes people may become ineligible with a particular lender, because of a policy change. Having up to date knowledge of lender policies means that we can identify which lenders are most likely to approve a client, before we even apply. We help clients avoid unnecessary marks on their credit file. want to refinance an existing mortgage. 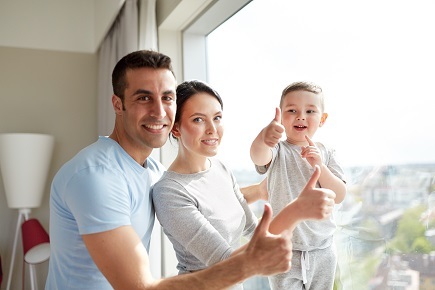 Our 98% home loan approval rating means that we will maximise your chance of approval. For an obligation free assessment, all you need to do is get in touch with our fantastic broker Desiree. She’s based in the Sutherland Shire, Sydney, but works with client from all over Australia.